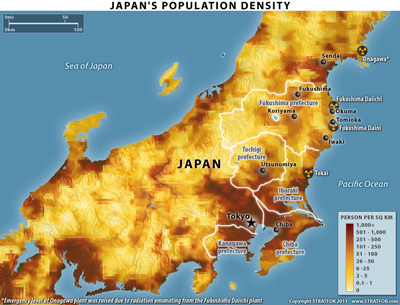 The nuclear reactor situation in Japan has deteriorated significantly. Two more explosions occurred at the Fukushima Daiichi nuclear power plant on March 15. The first occurred at 6:10 a.m. local time at reactor No. 2, which had seen nuclear fuel rods exposed for several hours after dropping water levels due to mishaps in the emergency cooling efforts. Within three hours the amount of radiation at the plant rose to 163 times the previously recorded level, according to Japan's Nuclear and Industrial Safety Agency. Elsewhere, radiation levels were said to have reached 400 times the 'annual legal limit' at reactor No. 3. Authorities differed on whether the reactor pressure vessel at reactor No. 2 was damaged after the explosion, but said the reactor's pressure-suppression system may have been damaged possibly allowing a radiation leak. After this, a fire erupted at reactor No. 4 and was subsequently extinguished, according to Kyodo. Kyodo also reported the government has ordered a no-fly zone 30 kilometers around the reactor, and Prime Minister Naoto Kan has expanded to 30 kilometers the range within which citizens should remain indoors and warned that further leaks are possible. 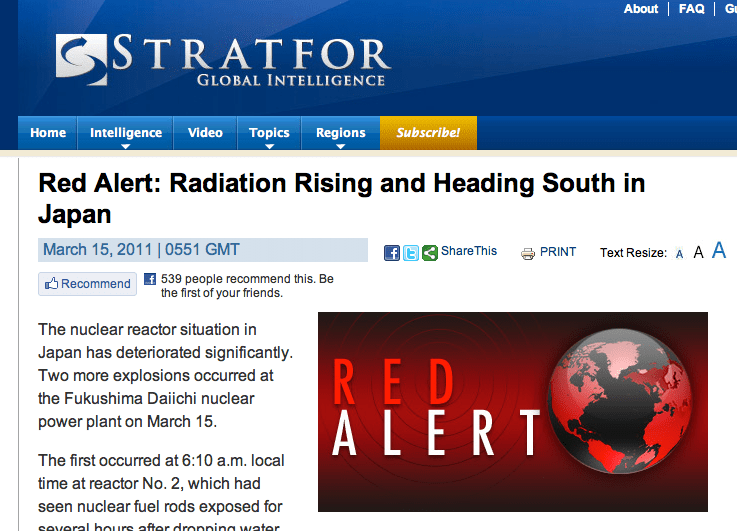 Next Next post: Concerns about Radiation in the Japan Earthquake Aftermath? – Here is some Info on Iodine!